London – Natalia Estemirova, a female Chechen journalist, was granted the first human rights award for her works of high quality both as a reporter and human rights defender in a move to honour the name of Anna Politkovskaya, a Russian journalist slain last year in Moscow for her brave efforts to get the voice of Chechens heard across the world. RAW in WAR, or Reach All Women In War, a nongovernmental organization based in London, granted Estemirov the first Anna Politkovskaya award. Estermirov is working, apart from her journalism career, as a representative in Chechnya of the Russian human rights organization Memorial. Irish Nobel Peace laureate Mairead Corrigan-Maguire presented Estermirov her award during a ceremony on Friday in London. The world public should not turn a blind eye to ongoing cases of human rights abuses, kidnappings, murders and acts ot torture in Chechnya, even though such cases are kept hidden from public gaze, Estemirova said in her ceremonial address. Granted in 2004 by the Swedish Parliament the award of the Right to Be, Estemirova was born in the Chechen region of Saratov, graduated from the Caharkala Medical School and worked as a teacher of history until 1998. 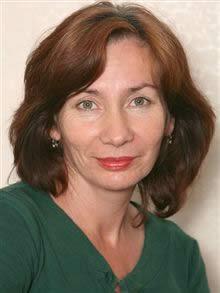 Changing her career to be journalism, Estemirova has been working for the Memorial since 2000.